Blockchain, the “distributed ledger” technology, has emerged as an object of intense interest in the tech industry and beyond. 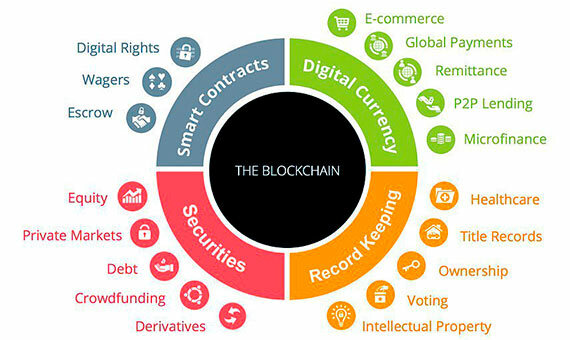 Blockchain technology offers a way of recording transactions or any digital interaction in a way that is designed to be secure, transparent, highly resistant to outages, auditable, and efficient; as such, it carries the possibility of disrupting industries and enabling new business models. The technology is young and changing very rapidly; widespread commercialization is still a few years off. Nonetheless, to avoid disruptive surprises or missed opportunities, strategists, planners, and decision makers across industries and business functions should pay heed now and begin to investigate applications of the technology world. Blocks record these transactions and make sure they are in the correct sequence and have not been tampered with. 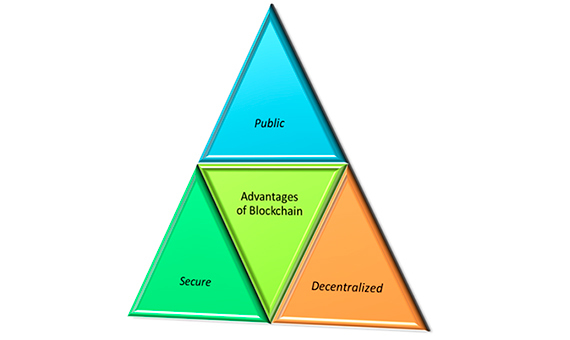 Public: a public Blockchain is a Blockchain where everyone can see all the transactions, anyone can expect their transaction to appear on the ledger and finally anyone can participate to the consensus process. 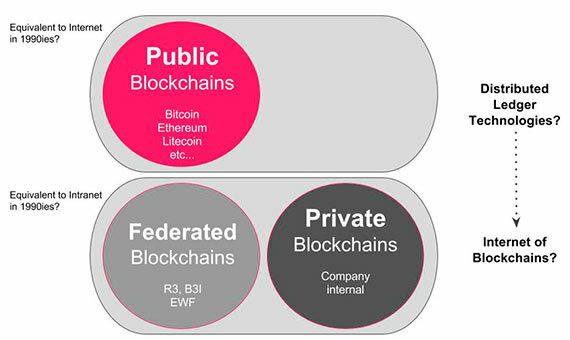 Federated: federated Blockchain don’t allow everyone to participate to the consensus process. Indeed, only a limited number of nodes are given the permission to do so. For instance, in a group of 20 pharmaceutical companies we could imagine that for a block to be valid, 15 of them have to agree. The access to the Blockchain however can be public or restricted to the participants. Private: private Blockchains are usually used inside a company. Only specific members are allowed to access it and carry out transactions. Blockchain technology certainly has many positive aspects, but there is also much misunderstanding and confusion regarding its nature. Blockchain doesn’t allow you to store any type of physical information like a Word document or a .pdf file. It can only provide a “proof-of-existence” the distributed ledger can only contain a code that certifies the existence of a certain document but not the document itself. The file however can be stored in “data lakes”, the access to which is controlled by the owner of the information. We can use Blockchain for complex and technical transactions – such as verifying the authenticity of a diamond or the identity of a person. There is also talk of a Blockchain application for the bill of lading in trade finance, which would be revolutionary in terms of cost reduction and transaction speed. While Blockchain can support these cases and mitigate the risk of a fraudster tampering with the ledger, it does not eradicate the threat of fraud online and it still raises questions over confidentiality. Additionally, the use of Blockchain technology will still be inefficient for many of these cases when compared to maintaining a traditional ledger. Despite the commonly held belief, Blockchain is neither cheap nor efficient to run – yet. It involves multiple computers solving mathematical algorithms to agree a final immutable result, which becomes the so-called single version of truth (SVT). Each ‘block’ in the Blockchain typically uses a large amount of computing power to solve. And someone needs to pay for all this computer power that supports the Blockchain service. Common denominator is that they are shore up by crypto, are distributed and have some form of consensus mechanism. Bitcoin’s Blockchain, Ethereum, Hyperledger, Corda, and IBM and Microsoft’s Blockchain-as-a-service can all be classified as Distributed Ledger Technologies. Though the code is powerful, it’s not magical. Bitcoin and Blockchain developers can be evangelical, and it’s easy to understand why. For many, the Blockchain is an authority tied to mathematics, not the government or lawyers. In the minds of some developers the Blockchain and smart contracts will one day replace money, lawyers, and other arbitration bodies. Yet the code is limited to the number of cryptocurrency transactions in the chain itself, and cryptocurrency is still far from mainstream. No national, or corporate entity owns or controls the Blockchain. For this reason, evangelists hope private Blockchains can provides foundational support for dozens of encrypted and trusted cryptocurrencies. 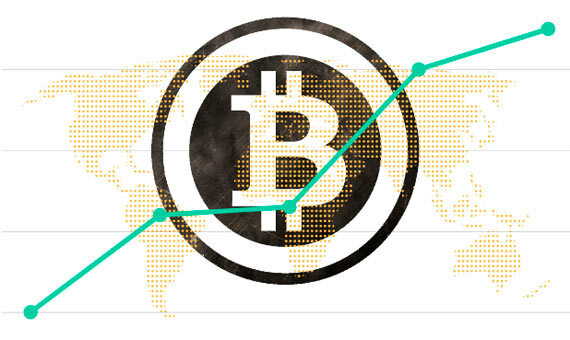 Superficially, the Bitcoin Blockchain appears massive. Yet a Gartner report recently claimed the size of the Blockchain is similar in scale to the NASDAQ network. If cryptocurrency takes off, and records are generated larger, this may change. For now, though, the Blockchain network is roughly analogous to contemporary financial networks. Analogous large-scale transaction databases like bank records are, by their nature, private and tied to specific financial institutions. The power of Blockchain, of course, is that the code is public, transactions are verifiable, and the network is cryptographically secure. Fraudulent transactions— double spends, in industry parlance—are rejected by the network, preventing fraud. Because mining the chain provides financial incentive in the form of Bitcoin, it is largely believed that rewriting historic transactions is not in the financial interest of participants. For now, However, as computational resources improve with time, so too does the potential for deception. The impact of future processing power on the integrity of the contemporary Blockchain remains unclear. Blockchain started to create waves in the financial sector because of its first application, the bitcoin cryptocurrency, which directly impacted this field. Although Blockchain has numerous areas of application, finance is undeniably one of them. The important challenges that this technology brings to the financial world pushed international banks such as Goldman Sachs or Barclays to heavily invest in it. Outside the financial sector, Blockchain can and will be used in real estate, healthcare or even at a personal scale to create a digital identity. Individuals could potentially store a proof-of-existence of medical data on the Blockchain and provide access to pharmaceutical companies in exchange for money. Since Bitcoin is more famous than the underlying technology, Blockchain, many people get confused between the two. Blockchain is a technology that allows peer-to-peer transactions to be recorded on a distributed ledger across the network. These transactions are stored in blocks and each block is linked to the previous one, therefore creating a chain. Thus, each block contains a complete and time-stamped record of all the transactions that occurred in the network. On the Blockchain, everything is transparent and permanent. No one can change or remove a transaction from the ledger. For now, smart contracts are just pieces of code that execute actions automatically when certain conditions are met. Therefore, they are not considered as regular contracts from a legal perspective. However, they can be used as a proof of whether or not a certain task has been accomplished. Despite their uncertain legal value, smart contracts are very powerful tools especially when combined with the internet-of-things (IoT).